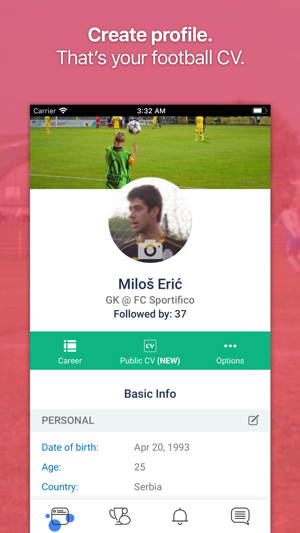 Sportifico is a free social network and app designed for soccer players and coaches. 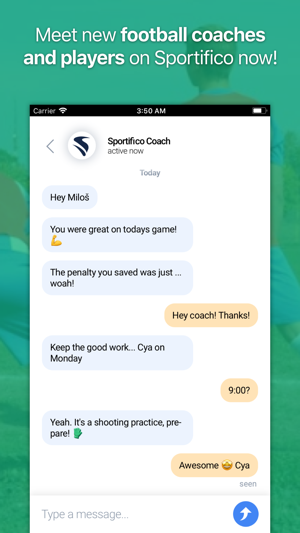 With Sportifico, you can connect with your teammates, coaches and the wider community of professional soccer. 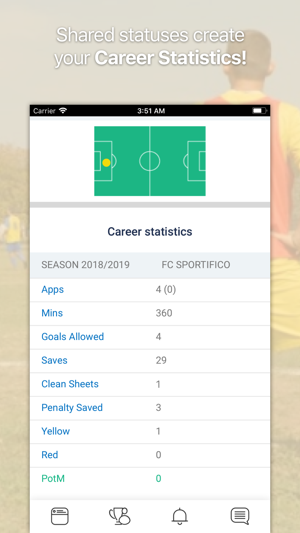 Every career moment that you post on Sportifico, which can be your match highlights, practice session reports, achievements and more, will be added to your personal stats that feature on your Sportifico profile, a one of a kind professional soccer resume. As a soccer coach, you can organize your team, schedule practice sessions, matches, health checks and any other activity of value to your team, as well as discuss everything on secure and user friendly group chat channels. - Create a profile and showcase your personal qualities, current professional status, career history and resume. - Publish status updates - your personal highlights in matches and practice sessions, enriched with images, descriptions and data. 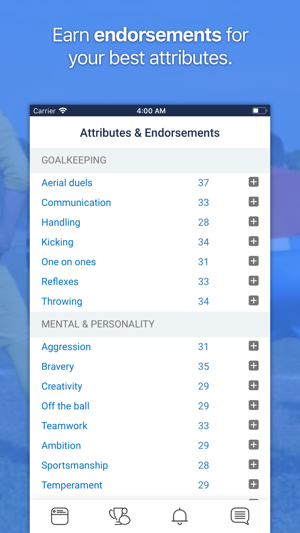 The data you post in a status update is accumulated in your overall career stats that feature on your profile page and are visible to the entire Sportifico community. 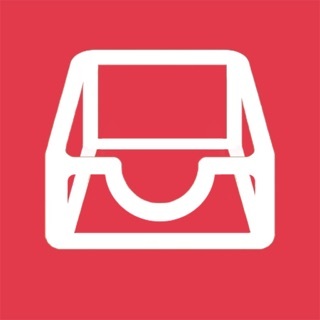 - Search for and connect with players and coaches that can help you advance your career. 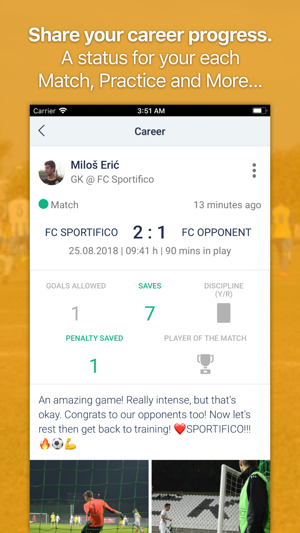 - As a coach, connect with your team on Sportifico. - As a player, stay notified about team activities and discuss issues related to matches, practice sessions and any other topic in group chat. - Get endorsed for skills and personal attributes by teammates, coaches and the wider community. - Chat directly with any of your friends on Sportifico, the social network for aspiring sports professionals. With Sportifico on your mobile device, your soccer career is truly in your hands. - New app look. Simple. Sporty. - Competition starts! Join talented footballers - win valuable football prizes! - Special feature - Invite friends to Sportifico. Build your careers together!